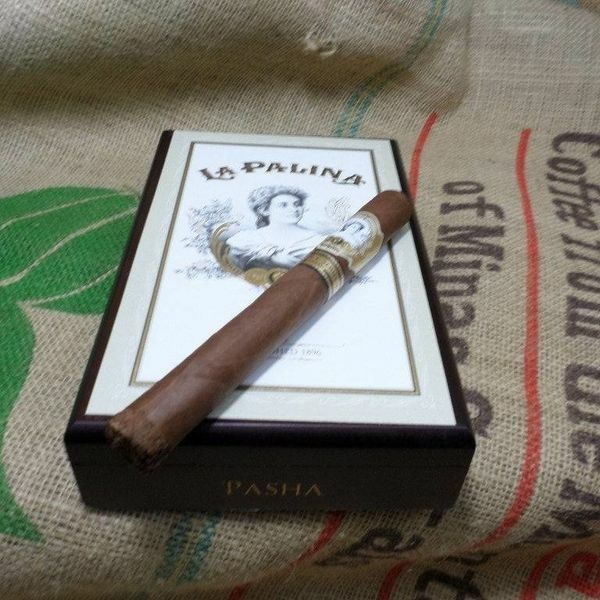 The original offering from La Palina was the premium, luxurious Family Series handcrafted at the infamous Graycliff Cigar Company in the Bahamas. For the updated version, Bill Paley had spent a year fine tuning the blend for the La Palina Family Series Miami. The new Family Series Miami is blended at the famed El Titan de Bronze factory in Miami, Florida. The small batch, Cuban style Family Series Miami is comprised of an Ecuador Corojo ‘98 wrapper surrounding Ecuador Habano binder and Nicaragua filler. The Family Series Miami Pasha cigar has been crafted with an expanded serving of filler tobaccos creating the interesting shaggy foot appearance. The shaggy foot provides a rugged feel yet remains to inspire a sophisticated looking cigar. Right off the bat aromas of whiskey and cinnamon tumble over the palate. Maple, almond, cherry wood and honey top off this beautiful smoking experience. You will not be deprived of many complex flavors throughout the smoke. The Family Series Miami is a guilty pleasure you may want to save for special occasions but also makes an impressive gift to the discriminating cigar lovers in your life. The obvious choice for pairing the Family Series Miami is whiskey, whiskey, whiskey…But which one? At Red Bar in Little Havana, every Wednesday is Whiskey Wednesday! All day the funky joint offers $5 whiskey with more than fifteen premium brands to choose from. With an assortment of La Palina cigars in my caddy I took a spot in the back patio designated for smokers. The choices of bourbon and scotch were dizzying but after I explained the flavors of my Family Series Miami Pasha, the bartender recommended a snifter of Woodford Brandy Cask Finish. This Kentucky bourbon from Woodford’s Master Collection has deep notes of maple syrup and dark raisins with softer hints of oak and cinnamon. After an hour of overindulging I felt like I was in heaven.